It used to be that when it came to summer camp, families usually only had one choice: the town camp. By the end of the summer, no doubt a lot of moms were left wishing there’d been other options. These camps last six hours (half-day options may be available) and offer a range of activities, such as sports, swimming, art and music. They are located at YMCAs, community centers, public schools, parks or private settings. 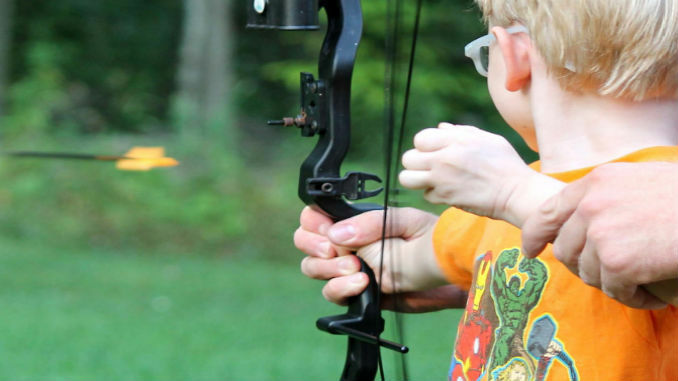 Many activities are outside, so if your child loves the outdoors and playing sports or team-building activities, then this is a good camp for them. The variety of activities also makes it a good fit for a child that likes to try different things. Specialty sports camps usually focus on a sport like basketball or soccer that the child plays for either three or six hours. Depending on where you live, there are also camps for tennis, golf, surfing or sailing. These camps are typically owned by private organizations, though there are also some that are operated municipally. This is a great option for those youngsters who love a specific sport and want to improve their skills. It’s also a good way for kids to try a sport that they might not otherwise have exposure to, such as surfing. These specialty camps focus solely on the arts. Musical theater camps typically showcase a production, such as Beauty and the Beast, while an art camp exposes children to a variety of mediums, like painting and drawing. These camps are found at art schools, theaters and other organizations. A drama or art teacher usually runs the camp and students are encouraged to tap into their artistic side.If your child is creative and prefers the indoors, then these camps are worth looking into. They may be a good way to introduce your child to the arts, since many of them operate on a week-by-week basis. These camps center on learning a new skill or subject matter, with an emphasis on fun and hands-on activities. They are typically located in public or private schools, museums and colleges. If your child is curious and inquisitive about how and why things work, this may be a good match. Some educational camps offer instruction in skills like computer programming or speaking Spanish. These camps give your child the opportunity to live away from home for a week or longer. There are Boy/Girl Scout and private residential camps. They offer such activities as sailing, boating, archery, horseback riding or others that may not be available close to home. An overnight camp lets your child meet kids from different states and countries. They tend to foster independence, and there is also more time for activities compared to traditional day camps. There are two types of travel camps. One offers day trips and the other, sometimes referred to as “teen tours,” offers travel with a group for an extended period, usually a few weeks or a month. This type of camp is usually located at religious or private organizations. Some feature air travel to faraway places, so your child may have the chance to visit destinations you might not travel to as a family. If your child enjoys experiencing new destinations, then this is the camp for him.